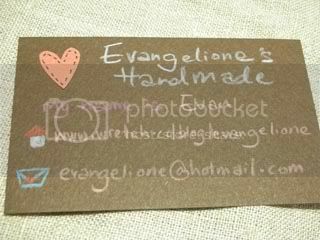 i like to have my own name card, but i don want every piece the same, i dont want them to be perfect, i dont want them to be neat, i dont want them to be too commercial. 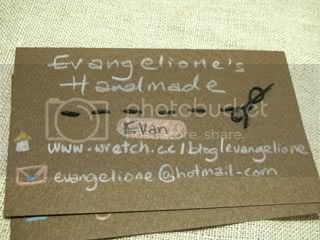 so i come out this idea to draw my own name card. it can be just some wordings, patterns i like and so on. just some doodles will do. sometimes not so perfect is perfect to me. 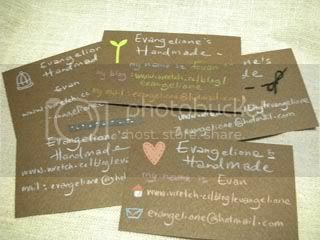 these card very easy to do . u just draw watever on it. 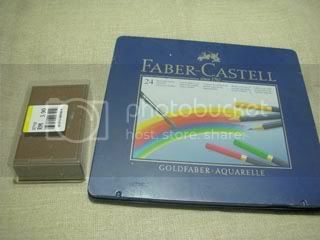 you can find these paper at jusco stationary dept. 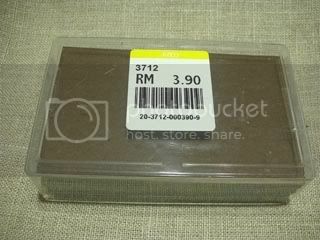 only RM3.90 a box. remember, it doesn;t have to be perfect. you can cut and paste some simple pattern on it. if u can sew . sew then. 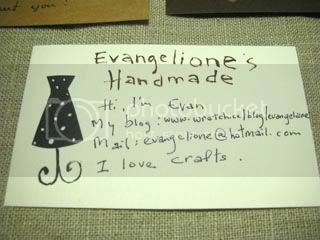 下面我还加了一句 " i love crafts"
you can write some other stuffs about youself! 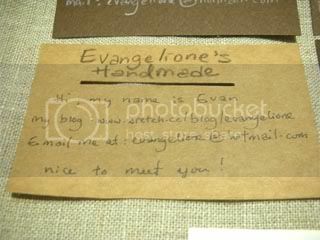 like this one at the bottom i added "i love crafts"